What we believed we all saw coming last week has become official. Pittsburgh Steelers’ Offensive Line Coach Mike Munchak has decided to make a lateral move and join the Denver Broncos in the same capacity. Munchak originally had interviewed with Denver for their head coaching position but was beaten out in favor Chicago Defensive Coordinator Vic Fangio. Munchak’s decision has already led to more questions about just how stable the current state of the Pittsburgh Steelers is. While technically a ‘free agent’ because his contract expired, it was thought that it would be a no-brainer for Munchak to return to the Steelers. He’s repaired this offensive line and made it one of the top overall lines in the league especially in pass protection. With his daughter in the Denver area, that seems like a natural and completely understandable reason for him or any other coach to make the move. But this does nothing to quiet the critics that this is part of a larger problem within the Steelers’ organization. Munchak has been around football his entire life. He starred at Penn State for Joe Paterno and then spent his entire NFL career in the Houston Oilers/Tennessee Titans organization. He eventually became head coach of the Titans for three seasons where he finished with a 22-26 career record. 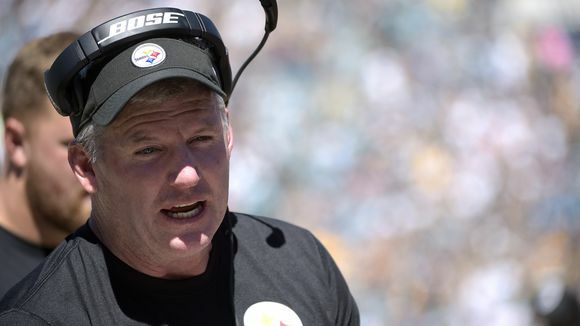 With the Steelers seemingly in a free fall, Munchak perhaps saw the chance to get out. I’ve heard numerous things from sources. Some saying he was happy and content while others said he couldn’t get out of the Steel City fast enough. We will likely not ever know the truth because unlike the players, Munchak doesn’t strike me as the type to air dirty laundry publicly. But the questions and concerns have to be raised. Since this team started the 2018 campaign it has seemingly been one thing after another. From the Le’Veon Bell situation to blown leads to Antonio Brown going AWOL, it just hasn’t stopped. Concerns over just how much control Mike Tomlin has of this team are warranted. Concerns over what type of owner Art Rooney II is are also fair game. So to unequivocally say that Munchak is leaving simply to be closer to his daughter just doesn’t sit well with me. 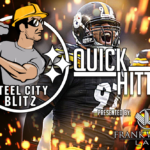 The Steelers will likely look to Shaun Sarrett in all likelihood to take over for the Hall of Famer. Sarrett was here before Munchak and was trying to undo the damage done by Sean Kugler. That’s what I think happens but anything is possible at this point. [UPDATE:] Sarrett has officially been named the new Offensive Line Coach. 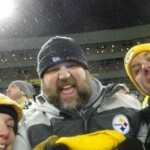 Let the rumors and questions begin but for now, Munchak will be missed both as a coach and as a presence.